As a quilter, Maura Koehler-Hanlon has come to love the arc of creation. In many ways, piecing together a quilt is a process that mirrors project work: She starts with an idea and set of requirements, sketches out plans, finalizes a design, sews the first square, adjusts as needed, learns from the inevitable mis-stiches, builds and finishes. The process marries creativity with planning, and it never fails to surprise her along the way. Quilting is just one way Maura seeks to make order out of chaos — she also thrives on solving tough problems and simplifying processes. She also recognizes that the best solutions can’t be achieved without leveraging the strengths of the people you are working with. 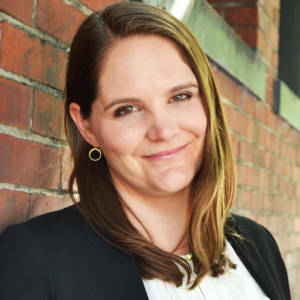 Before joining Propeller, she led community initiatives at Umpqua Bank and served as vice president of client services at VolunteerMatch, where she helped more than 150 corporations develop and strengthen their volunteering programs through technology. Maura holds a bachelor’s degree in international studies from Macalaster College. First job: Moving and changing irrigation pipe in Central Oregon at dawn and dusk.